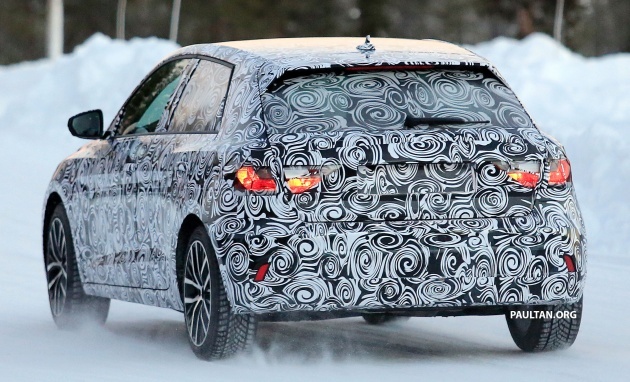 Test mules of the next-generation Audi A1 are now out and about testing. Rumours are that the new supermini will be released exclusively in five-door “Sportback” guise, instead of the three- and five-door models of the outgoing model. The MQB platform will form the new car’s basis, offering weight savings and greater flexibility. The next A1 will take a direction similar to that adopted by the new Ford Fiesta. Like the Blue Oval product, the German hatchback will be more grown up, with a wider, lower stance for a more muscular appearance. 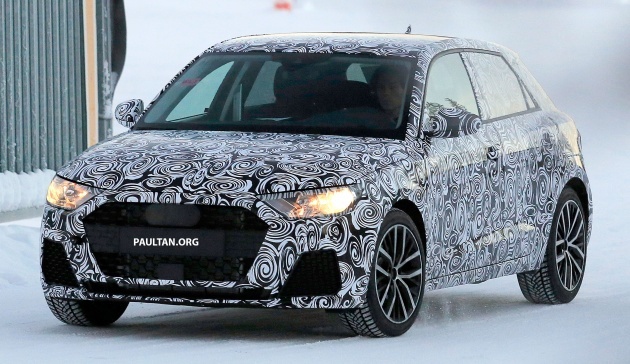 The next Audi A1 will also feature LED lights all around, despite the appearance of what looks to be halogen headlamps on the test mule seen here. Under the hood, the upcoming Audi A1 is set to receive a new 1.0 litre, three-cylinder base engine, with the 1.4 litre turbocharged engines retired from the A1 line-up. In their place will be the new 1.5 litre turbocharged engines with 150 PS, likely similar to the one in the the facelifted seventh-generation Golf. Audi could also reprise the S1 performance variant with the possible inclusion of a turbocharged, 2.0 litre model with around 250 hp paired to an all-wheel-drive setup, while thanks to the new platform, mainstream models below the S1 may also gain an all-wheel-drive option. Meanwhile, the use of that 2.0 litre drivetrain could also leave room for an even more potent RS model with around 300 hp; a similar configuration is used in the Audi S3 and in the VW Golf R, not to mention the bonkers limited-production A1 quattro from 2011. “If” Audi comes out with a RS1 with more than 300 HP with Quattro, it will be one of the fastest/nastiest cute car if not the fastest ‘small’ car with a premium price to boot.